Today I'm Going to share how to find all Previous and Current Google Doodles . but first of all if you are a regular reader you might be knowing already about my previous articles about Google Doodles . 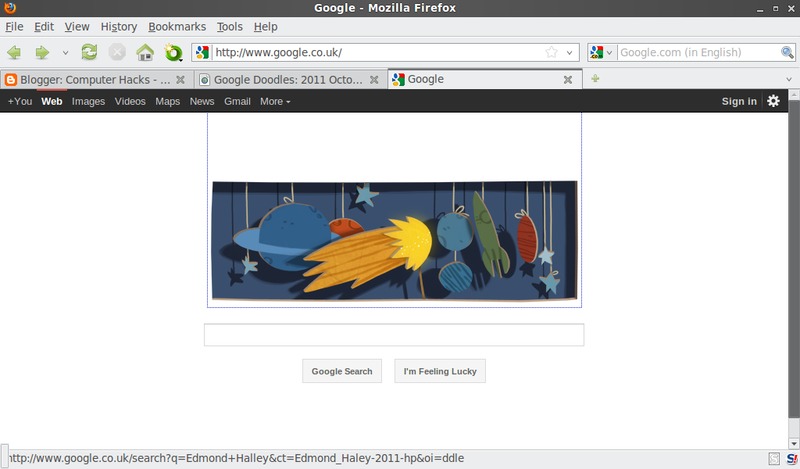 Google Doodles celebrates all Holiday and Events in Google style. so know first of all i'm going to write how i found this Index of Google Doodles. without using any Google dorks.so first open Google.com and right click on the Logo or Doodle.you will find a option called View Background Image or View Image.so just click on it. you can able to collect all previous and current logos from 1998- to the current year .so it was just my stupid research :D share it if you like it .